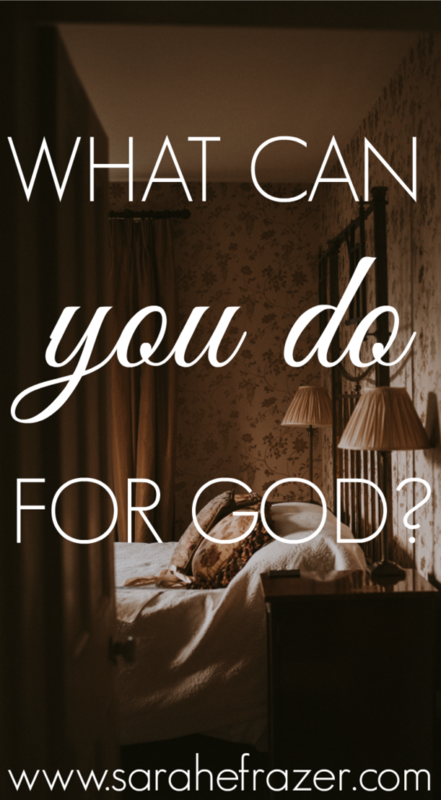 Do you feel stuck and like you can’t do anything for God? I want to encourage you with something I recently shared with my Bible study girls a few weeks ago. In January of this year I had the amazing privileged to join a medical team traveling to Honduras to help the physical and ultimately the spiritual needs of a small community. My husband is a doctor, but I am a teacher and currently just stay at home with my children. Although I am very proud of my “mom” role, as I traveled on this trip I felt completely unqualified. There were ER nurses, nurse practitioners, Physician’s Assistants, and even an ophthalmologist (eye doctor). Although I wasn’t on the medical side of our clinic, I thought of them often. Whenever I was busy searching through boxes I would say quick prayers for my husband. That he would stay safe and be wise when dealing with patients. My husband Jason has been on several missions trips. Most of the time my job is to stay at home and keep the house and kids running smoothly. There have been times I’ve felt completely out of the loop and unimportant because my job doesn’t take me into the “thick of things.” Instead, I’m on the sidelines, feeling a little useless. Many of us are limited physically with what we can do, aren’t we? I remember sitting as a child in church listening to the fascinating stories from missionaries who had traveled to far away places like New Zealand, South America, and even China. God may be calling my family to move overseas, but God doesn’t call everyone. Most of the time we are limited in the amount of influence we have with those directly connect to us. Or are we? Paul rejoiced!? Why? Because even though he was in prison: Christ was still being preached. Even though some of the people preached Christ because they were selfish and wanted to cause division, Paul still rejoiced. The gospel was being spread across the world – and Paul rejoiced! We may think we are of no use to God – but God says NO – all believers are to be used to spread the gospel. If you need inspiration did you see my post about the TWO BEST missionary biographies? Find it here!